In this video blog post, Sr. Natalia reflects on her own experience during this year's Great Fast and on the life of St. Mary of Egypt. When faced with our own wounds and sinfulness, what will we choose to do? This year we commemorate St. Mary of Egypt two days in a row. April 1 is her feast day, and on the Fifth Sunday of the Great Fast (this year on April 2) the Church commemorates St. Mary of Egypt. As we celebrate the Feast of the Annunciation, we come into contact with one of the great mysteries of our faith – the Incarnation. God enters into time, at the consent of a virgin in Nazareth, and takes on human flesh. a spirit of integrity, humility, patience, and love. As I was praying these words and thinking of the Theotokos at the Annunciation, I began to see just how beautiful it is to celebrate this feast in the context of Lent. Being a lover of feasts and all things relating to St. Gabriel, I have a natural affinity for the Annunciation, but Mary wanted to take that love even deeper. I stood in awe of her, as did my namesake, as I began to see how Mary, as the first disciple of Jesus, is our model for living out the Prayer of St. Ephrem. “Hail, O favored one, the Lord is with you!...Do not be afraid, Mary, for you have found favor with God. And behold, you will conceive in your womb and bear a son, and you shall call his name Jesus” (Lk 1: 28,30). Hearing Gabriel’s exhortation, I can see what might be a bit disconcerting! How often in my life do I hear Jesus calling me to something more and deeper, and I cringe and moan and shudder to think of it (until I finally say yes!). Mary, hearing these words for the first time, could have fallen into any of the first sins that are named in the Prayer. Indifference – she could have given Gabriel the cold shoulder and walked away! How could a conception happen without a man? Despair – she could have realized the full weight of what he was asking her, without considering the mercy and love of God, and folded under the weight of the request. Lust for power – can you imagine what kind of prestige would come if people knew and believed she was the Mother of God? Idle chatter – how many people could she have told about her news – the world’s greatest “gender reveal!” But instead, she receives the angel’s request and asks only one practical question. She does not pause in her question long enough to consider any amount of worry about the future. She does not flippantly share about her pregnancy. Her response embodies integrity, or wholeness of being, so much so that her “yes” cooperated directly with the power of the Holy Spirit to conceive a child – Jesus. She accepted this invitation to motherhood with the utmost humility; she put no conditions on her acceptance, but simply offered herself to God. She became our model of patience and love, starting with her care of Elizabeth in the hill country and ending at the foot of the Cross on the mount of Calvary. Lastly, she exemplifies not simply introspection into faults but a proper understanding of herself before God – seeing her weaknesses and trusting perfectly in His mercy and grace at all times. This posture of receptivity allows her to place love above judgment, loving any and all who may have been lead to judge what they did not understand regarding her pregnancy, and later, her life in service to her Son. On this Feast of the Annunciation, let us take a moment to reflect on our own Lenten journey, in light of our beloved Theotokos and her “yes.” How are we saying “no” to sin and “yes” to virtue during these days in the midst of our own daily "annunciations?" What more needs to be purged before we can give ourselves, fully and without reserve, to all that Jesus is asking of us this Lent? We place ourselves under the mantle of Mary and ask for her intercession – O Most Holy Theotokos, save us! May we receive strength, during this mid-point of the Great Fast, from the Cross held up before us. It is a sign of suffering, but also of intimacy with Jesus and the glory of our salvation! "Come, let us drink from the inexhaustible stream which flows from the grace of the Cross. Behold, we see exposed before our eyes, the most holy wood, the fountain flowing with grace, given by the blood and water from the side of the Lord of the universe; He was voluntarily raised upon the Cross to exalt all mortals with Him" (From the Stichera at the Praises; Matins for the Sunday of the Veneration of the Cross). As published in Horizons, the newspaper of the Eparchy of Parma, March 5, 2017. As we begin the most strenuous of the four fasting periods in the Byzantine Catholic Church, the Great Fast, it is good to be reminded of the purpose and goal of fasting in the Eastern tradition. It is important to remember that what we fast from and when we fast are dictated not by our own tastes but by the typikon or rule of the church. 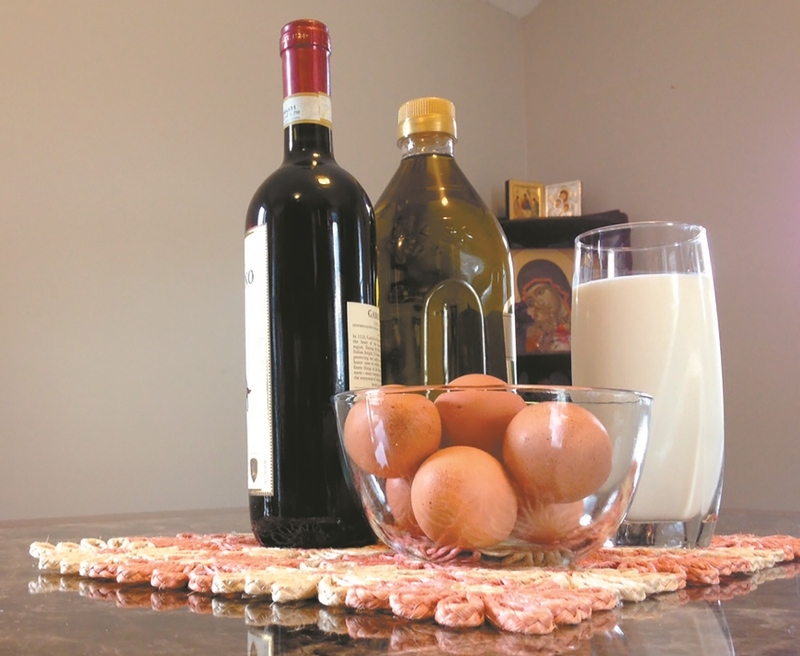 During the Great Fast or Great Lent, the traditional Eastern fast outlined by the church includes abstaining from all meat and dairy products, including eggs, as well as oil and wine on weekdays, with a mitigation for oil and wine on Saturday and Sunday. 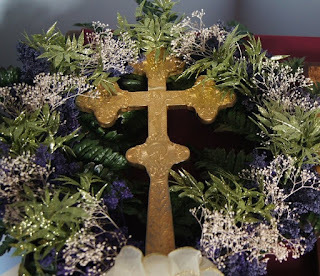 There are a few feast days that oil and wine are also allowed, which can be found in the typikon, and there are two feast days when fish is allowed — Annunciation and Palm Sunday. It is necessary to remember why we fast. In the wisdom of the Church, fasting developed as a physical reminder of our primary dependence on God. Our fasting calls us out of ourselves and our self-sufficiency and reminds us of our utter poverty before our Heavenly Father. As Jesus tells us in the Gospel of St. John, “apart from me you can do nothing” (15:5). We see the truth of these words at the beginning of every fast in the monastery. 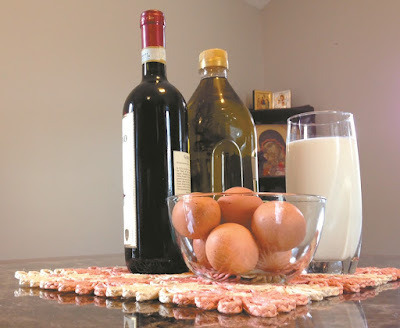 Deprive us of our easy sources of protein and we quickly begin to get irritable and out of sorts. Our poverty and dependence on food become tangible as our stomachs remind us that we aren’t being filled by food in the same way. Even as nuns, we need this reminder, so we can begin again to surrender to our ultimate need for God to fill us — beyond a full stomach. It is essential to realize that fasting is not simply the work of the monks and nuns; it is implicit in each Christian’s baptismal call to holiness. That’s right — everyone is called to fast! The ascetical life of the Eastern Church is on a spectrum, calling each person to some degree of prayer, fasting and almsgiving, that is appropriate for his or her state in life. 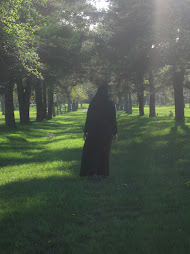 As monks and nuns, we hopefully live that witness in its fullness, offering our lives as a model for the ideal or goal of the Christian life of prayer, fasting and almsgiving. We pray our witness may inspire everyone also to engage more fully in the ascetical Christian life, which will lead all to a deeper union with God, beginning heaven on earth. As you start the Great Fast, be sure to consider how you would like to incorporate fasting in your preparations for Pascha. Make a commitment to start one new fasting practice this year. Be sure to increase your prayer as well — fasting without prayer is just dieting! Out of that life of prayer and fasting, you will find it easier to do the acts of charity or almsgiving that we are also called to do during the Great Fast. Make sure you have all three or you won’t have a stool to sit on! For more information on fasting, as well as some practical dos and don’ts for how to incorporate fasting practices into your Great Fast, be sure to check out my reflections along with Father Moses of Holy Resurrection Monastery in St. Nazianz, Wisc., on our new cooking show, Eastern Hospitality. 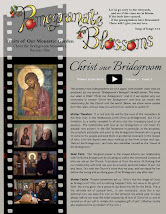 Go to www.easternhospitality.org and click on Episode 2:2. Join the nuns of Christ the Bridegroom Monastery in a deeply-moving, once-a-year Lenten experience on Wednesday, March 29, at the Cathedral of St. John the Baptist, 1900 Carlton Rd., Parma, OH. The Great Canon of St. Andrew of Crete takes us on a journey through the entire Bible, placing us in the shoes of the penitents of the Old and New Testaments and teaching us from their examples. The hundreds of prostrations unite our body and soul as we repent of our sins and experience God’s mercy. 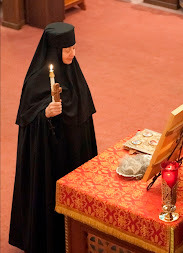 We will also listen to the life of St. Mary of Egypt and venerate her relic. The opportunity for the Mystery of Holy Repentance (Confession) will also be available. A simple Lenten meal will be served 5:00-5:45 p.m., and the Canon will begin at 6:00 p.m. All are invited to come for part or all of the Canon, even if you are not physically able to participate in the prostrations. The duration of the Canon is approximately 3.5 hours. 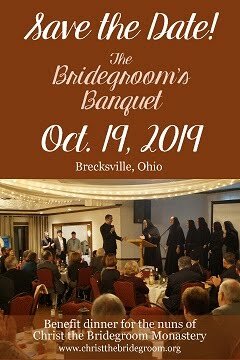 Please RSVP by Friday, March 24, to 440-834-0290 or christthebridegroom@gmail.com so the nuns know how much food and how many booklets to prepare.